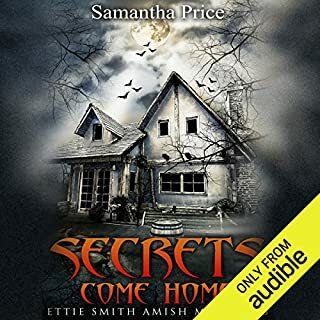 After Ettie Smith's friend, Agatha, dies, Ettie is surprised to find that Agatha has left her a house. During building repairs, the body of an Amish man who disappeared 40 years earlier is discovered under the floorboards. When it comes to light that Agatha and the deceased man were once engaged to marry, the police declare Agatha as the murderer. Ettie sets out to prove otherwise. Soon, Ettie hears rumors of stolen diamonds, rival criminal gangs, and a supposed witness to the true murderer's confession. 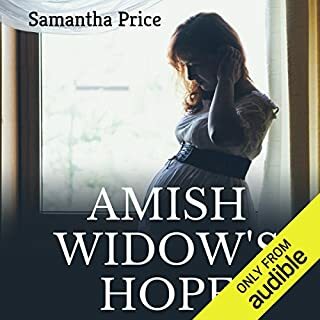 Detective Olivia Mast would rather run through gunfire than return to her former Amish community in Unity, Maine, where she killed her abusive husband in self-defense and witnessed her family's murder. 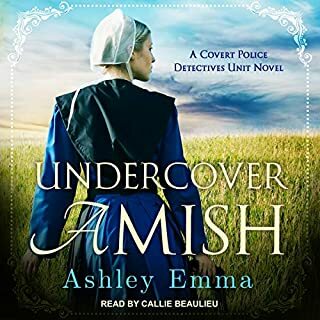 After an Amish man is murdered, the community will not answer questions from the police, so she begrudgingly dons her old prayer kapp and heads to Unity to investigate the murder undercover. To make things even worse, her captain also orders her to protect the man she dated as a teen: Isaac Troyer, who was attacked on the night of the murder but can't remember the incident. Newly widowed Amish woman Anita Graber has returned to live with her brother and his family in Lancaster County. As an expectant widow, she is quite surprised when everyone from the bishop's wife to her brother decides that her baby needs a father. Anita endures many embarrassing moments as she's forced into one awkward situation after another. Even though another man is the last thing on her mind, she finds a friend in her sister-in-law's brother, Simon. When an Old Order Amish woman takes a job at a small-town pharmacy struggling to survive in a world of "big box" stores, her motive is to help her Plain community. But the advent of the holiday season brings an unusual mystery to the surface - and possibly love. After Emma's parents died, her disagreeable grandmother often sent her to stay with the Eshes, a nearby family. When her grandmother died, Emma was sent to live with distant relatives. While Emma was comfortable at their home, she never felt she truly belonged. On her 20th birthday, things took a turn for the worse when her uncle announced he was finding her a suitable husband. Emma was shocked to learn the man was Thomas Esh, who was said to be a secret drunkard and a gambler. Luke Schrock is a new and improved man after a stint in rehab, though everyone in Stoney Ridge only remembers the old Luke. They might have forgiven him, but nobody trusts him. Amos and Fern Lapp allow Luke to live at Windmill Farm under two conditions. First, Luke must make a sincere apology to each person he's hurt - a four-page, single-spaced list. Second, he must ask each victim of mischief to describe the damage he caused. 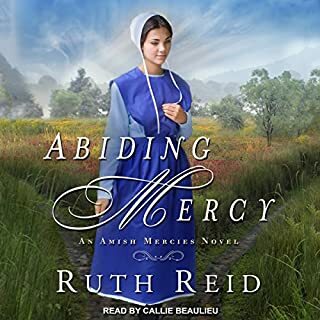 From best-selling authors in the Amish genre come four stories about reuniting with those you love. It’s set to be a white Christmas in Hart County, and Grace King is pet-sitting in a beautiful home with only a difficult dachshund for company. Just as she starts to miss the bustle of her large Amish family, Grace runs into a familiar face. Living right next door is John Michael Miller. He’s a fireman now, but five years ago, he had courted her older sister, then broke her heart. Seeing him again stirs Grace’s anger, but also reminds her of deeper feelings she’s done her best to deny. Love and Buggy Rides: Janie Lantz is a cashier at Lancaster Souvenirs and Buggy Rides, where Jonathan Stoltfuz is a buggy driver. 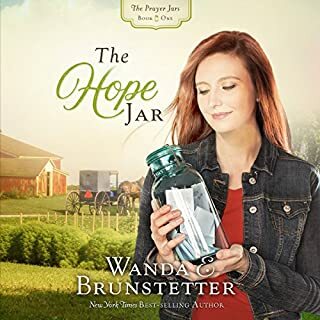 A frightening accident brings Janie and Jonathan together in a blossoming friendship, yet daunting obstacles stand between them and something deeper. Sweet & Innocent: Four Feel-Good Amish Stories! Harry Barnett, a middle-aged failure, leads a shabby existence. He is reduced to caretaking a friend's villa on the island of Rhodes and working in a bar to earn his keep. Then a guest at the villa - a young woman he had instantly warmed to - disappears on a mountain peak. Under suspicion of her murder, Harry becomes obsessed by the mystery that has changed his life and begins to trace back the movements and encounters that led to the moment where she vanished into the blue. This is a L-O-N-G book! At age 20, Jessica Bachman left her two beloved sisters and her Amish community after clashing with the new bishop about her role in the family and the future of their farm. She tried to convince Silas Kemp, who'd been courting her for two years, to join her, but when he said no, she fled anyway. Three years later, she returns home for the first time since leaving Lancaster to attend her father's funeral. Her arrival back revives all sorts of emotions - yearnings and sorrows alike. When Ettie has problems with her bread sinking in the middle, she turns to her friend, Ruth Fuller, who owns the largest bakery in town. When Ruth and Ettie discover a dead man in Ruth's bakery with a knife in his back, Ruth is convinced the man was out to steal her bread recipe. It was known that the victim, Alan Avery, was one of the three men who were desperate to get their hands on Ruth's bread secrets. When it's revealed that Avery owed money all over town, the local detective believes he was after the large amount of cash that Ruth banks weekly. Why was Alan Avery found with a Bible clutched in his hand? And what did it have to do with a man who was pushed down a ravine 20 years earlier? 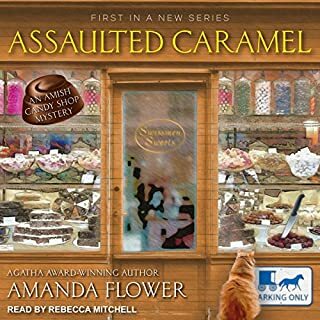 ©2016 Samantha Price (P)2017 Audible, Inc. 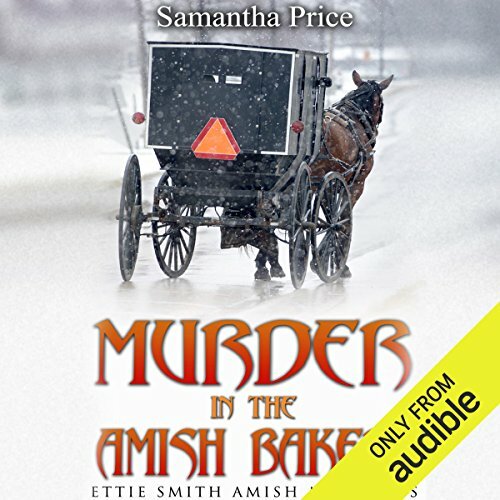 MURDER IN THE AMISH BAKERY by Samantha Price book 3 " Ettie Smith Amish Mysteries" . This was such an intriguing story, that captured me from the beginning. Once again we have two sisters living together, with their daily dose of remarks, which brings chuckles. This has to do with making bread, that now is not turning out. How could this lead to murder. It was a matter she had to solve, and she contacted Ruth the community baker at her store. While enjoying a cup of tea together, something else had happened. A complex story of why Ruth stopped selling bread to the deceased man. Once again Ettie is involved. Each of these stories get more intriguing, and the characters are a delight. With the audio, with the voice of Heather Henderson, brings an added delight for readers. Looking forward to more in this series. Given ARC for my voluntary review and my honest opinion.